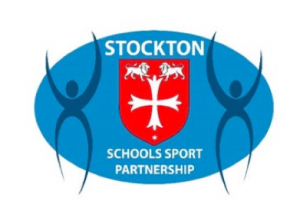 Mill Lane participates in the Stockton Schools’ Sports Partnership Inter Stockton School Cluster Netball League. 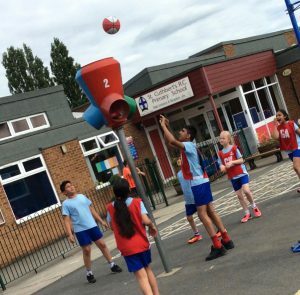 Through sporting activity and PE we aim to improve concentration, attention and cognitive control necessary to ensure each of our children achieves to the best of their potential. 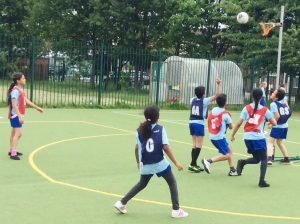 Practising and being mindful of skills such as catching, passing, dodging, changing direction, pre-empting opponents moves, finding space, changing pace, marking, aiming, shooting goals and effective non-verbal communication with team mates is integral to our PSHCE curriculum. 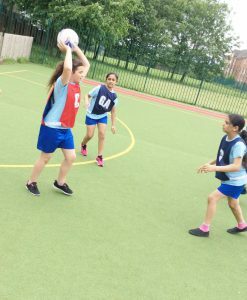 We believe in a positive mind-set; if we try hard, do good thinking and practise we can improve and achieve our goals. 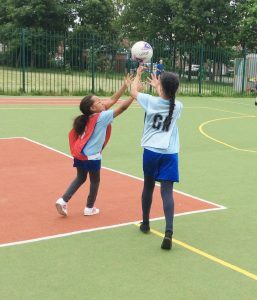 We have a Netball After School Club that meets every Wednesday, when we thoroughly enjoy our time together, laughing and encouraging one another. 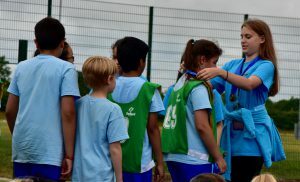 The Mill Lane teams show amazing sportsmanship, are welcoming of other schools and always shake hands with the opposing schools after each match. 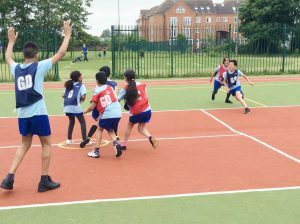 On Thursday 7th June, our first League Match without Mrs Cooke, Team A and Team B won 7 – 3 and 11 – 4 respectively. 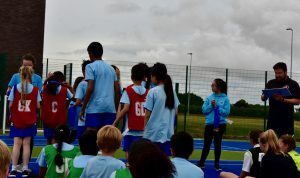 We were all a little nervous without Mrs C at the helm. 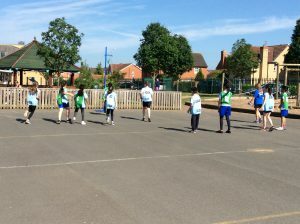 On Thursday 7th June, in glorious sunshine, Team A and Team B worked amazingly winning 7-3 and 11-4 respectively. 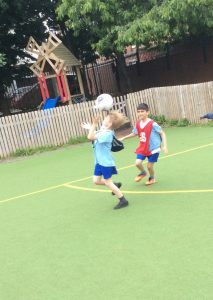 We are so proud of our children, practising their catching, passing (chest, overhead, bounce), dodging, changing direction, pre-empting opponents’ moves, finding space, changing pace, marking, aiming, shooting goals and effectively communicating both verbally and non-verbally to play strategically. 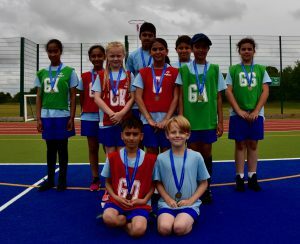 They showed amazing sportsmanship, behaved impeccably at the opponents’ school, congratulated them on their hoops and shook their hands after the game. 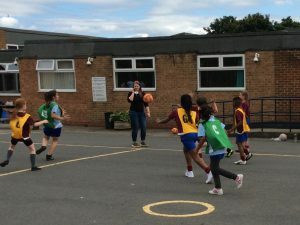 We are aware we have some ‘dodgy’ footwork to tweak and ‘sneaky’ bounce passing to practise – ready to take on the teachers! 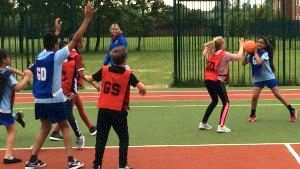 The children thoroughly enjoyed themselves – laughing with each other when they fell over unable to halt their own momentum- and as staff we are so proud to stand beside them. 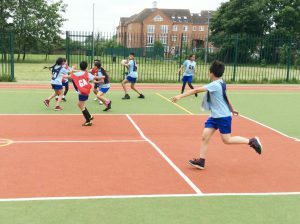 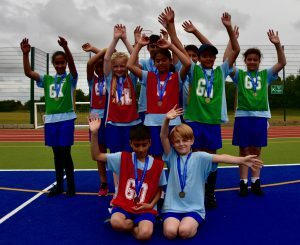 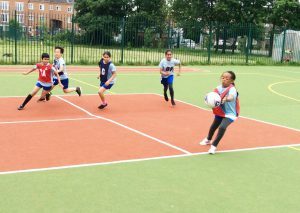 On Tuesday 12th June, the children proved themselves once again capable of working as amazing teams ‘at home’ and ‘away’, winning 10 – 3 and 12 – 3 respectively. 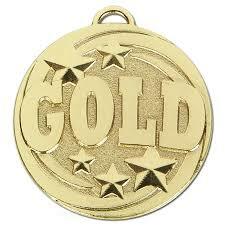 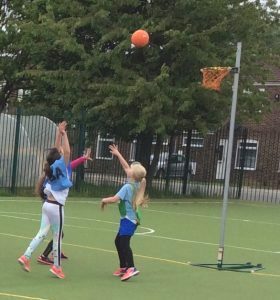 We are immensely proud that both Mill Lane School Netball Teams secured places at the end of season league tournament to be held on Monday 16th July 1-3pm at Northfield school. 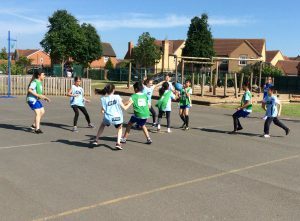 Team B came first in their league and Team A came second. 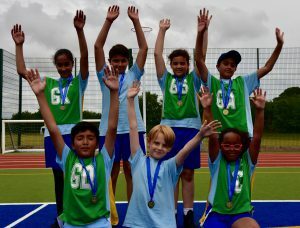 They have been invited to compete in the overall A Team Championship and overall B Team Championship this Monday. 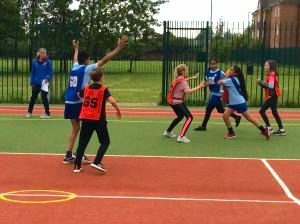 Good Luck Guys …..
With the Northfield Sport Leaders umpiring, the Mill Lane teams each played three games consecutively, A Team achieving Bronze position and B Team, Gold. 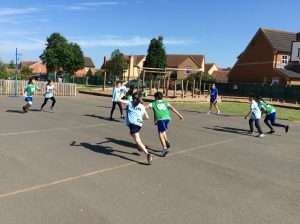 There were, ‘replays, contact, obstructions, footwork’ calls from the eagle eyed sport leaders, possession given and taken away, the children held their ‘positive mindset’ and played as a team; catching, passing (chest, overhead, bounce), dodging, changing direction, pre-empting opponents’ moves, finding space, changing pace, marking, aiming, shooting goals and effectively communicating both verbally and non-verbally to play strategically. 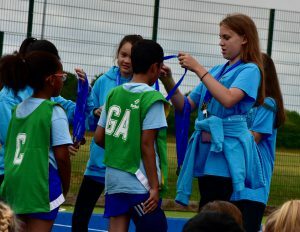 We would like to say thank you to Mr Peter Sheahan, SSP Competitions Manager, who organised the Netball League and this final event, ensuring it reflected the values of team work, self belief, determination, honesty, respect and passion. 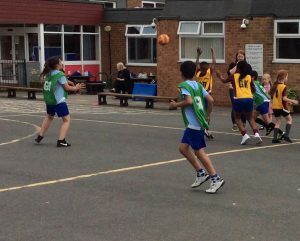 Amazing sporting magical memories were created today, that our children will carry with them forever. 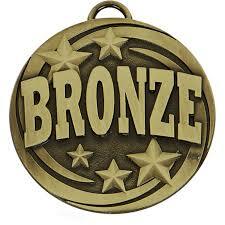 Well done Guys, we are immensely proud of you.